Hamas on Monday called on Hezbollah to withdraw from Syria and to keep its weapons aimed at Israel. The Lebanese Shiite movement’s involvement in the Syrian conflict has increased sectarian strife in the region, Hamas said in a statement calling for unity. Hezbollah has dispatched its fighters to Syria to assist President Bashar Assad’s battle against mostly-Sunni rebel forces. Earlier this year, Hezbollah chief Hassan Nasrallah said Syria’s “friends,” including Iran, would not allow Assad’s regime to fall. Hamas expressed sympathy for the suffering and bloodshed in Syria, and affirmed the Syrian people’s right to freedom. “The Syrian people has the right to realize their rights and aspirations for freedom and dignity. This people has always been supportive to resistance and resistance fighters,” Hamas said. 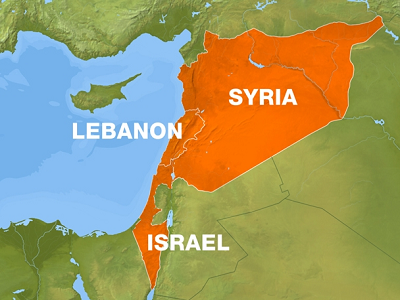 The party urged Hezbollah to leave Syria and return to resisting Israel. “The question of Palestine is the Arab and Muslim nations’ central cause. Resisting Israeli occupation is the main task and resistance must be on the right track and in the right direction regardless of the circumstances,” Hamas said. On Friday Ismail Haniyeh, Hamas’ prime minister in Gaza, denied reports that militants from the Islamist group were engaged in training rebels fighting Assad. “There is no truth to (claims) that Hamas fighters are in Syria, although we stand on the side of the Syrian people and condemn the brutal attacks they are exposed to,” Haniyeh said at a mosque in Rafah, on the border with Egypt. In June, Arab media reported that Hamas was strengthening its ties to Hezbollah and Iran, both of whom support the Damascus regime, and that this was causing internal strains. Hamas leader Khalid Mashaal lived in exile in Syria until shortly after the civil war began. When it did, Hamas refused to support Assad in his deadly crackdown, and Mashaal moved to Qatar in 2012. “This movement is loyal only to God, to this (Palestinian) people and to this issue. It does not sell itself to its backers,” Haniyeh said, apparently in reference to aid it receives from Iran. Khalid Mashaal is a very ungrateful man. He was living in exile in Syria quite happily now he is living in Qatar? He has now become the enemy of Assad? Why is he not living with his people in Gaza. How dare him criticize Hezbollah? This man calls himself a leader? Israel enforced that inhumane embargo against the people of Gaza because they voted for him and he now lives in Qatar? He should be living in Gaza with the people who voted for him, and are being oppressed and terrorized because they voted for him. He really needs to shut up and concern himself with the hardship of his supporters in Gaza.